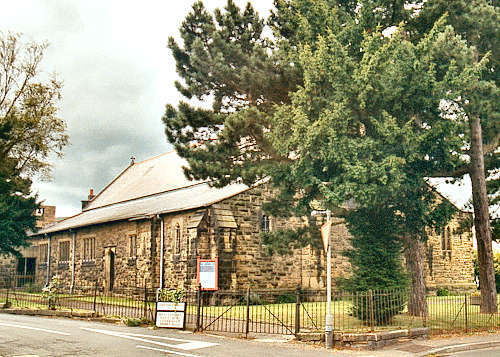 An iron church was opened in Coedpoeth on 16 June 1875. The new stone-built St. Tudful's church was consecrated on 11 August 1895, as a chapel of ease within the ecclesiastical parish of Minera. For family history information about the church and parish, visit the GenUKI Coedpoeth page.